This past weeks eats started with this. What is this? 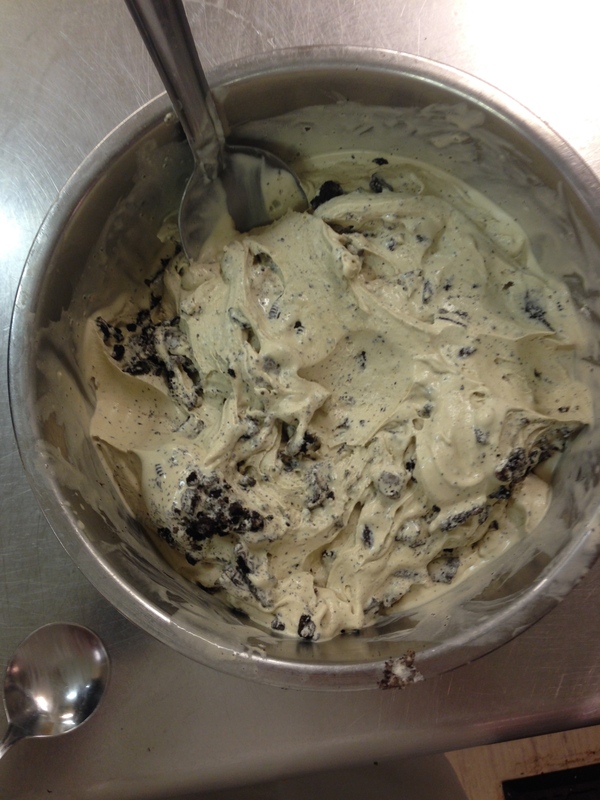 Homemade coffee Oreo ice cream. Yes. I went to work, was talking about how I planned to buy an ice cream maker and lo and behold, we had one in the back. I’ve made about 6 batches of ice cream so far including 2 batches of this coffee Oreo, chocolate coconut, blueberry brown sugar graham cracker, chocolate chip and a few failed attempts at almond milk ice cream. 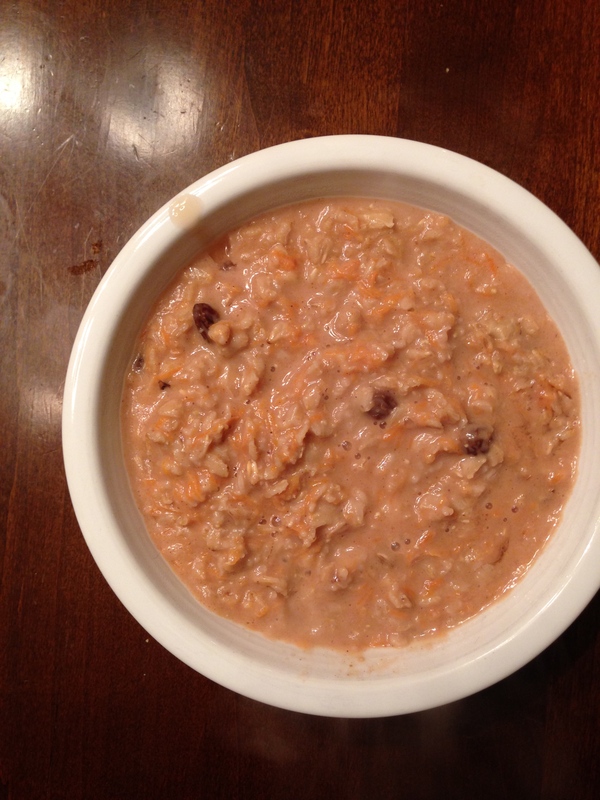 My newest obsession: Carrot Cake Oatmeal. 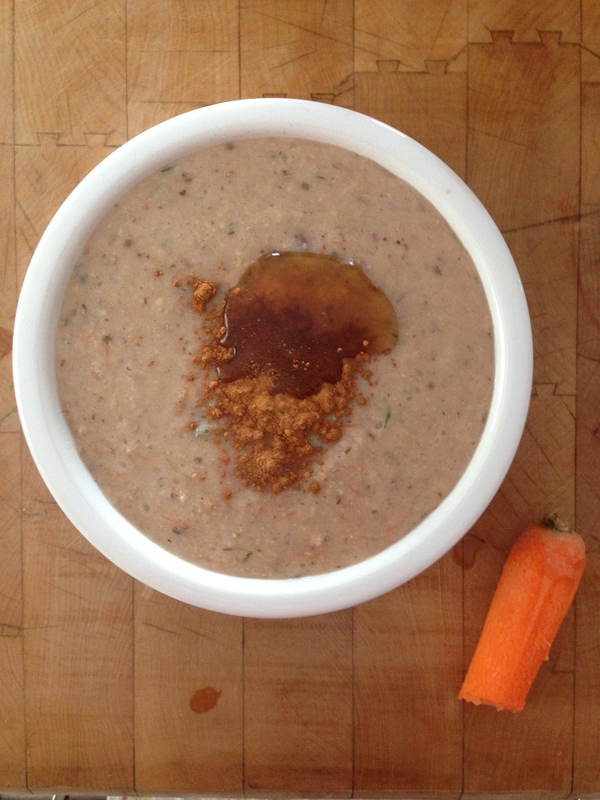 It’s creamy, delicious and tastes like a carrot cake. I’ve had it for breakfast, lunch and dinner all on different days. I’m all about vegetables in my oatmeal normally so this is just a vitamin and nutrient win. The perfect pick-me-up. 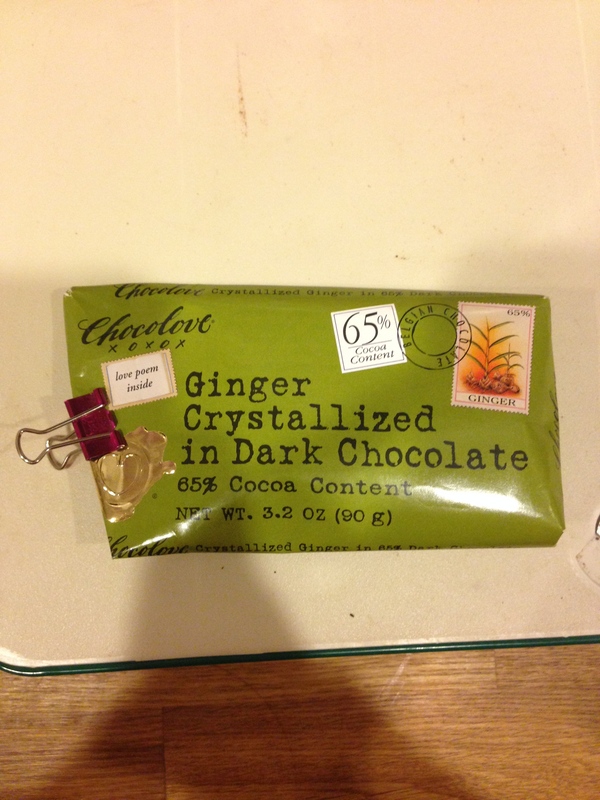 Find this chocolate bar–it is perfection. Not working consistently has left me plenty of time to bake. 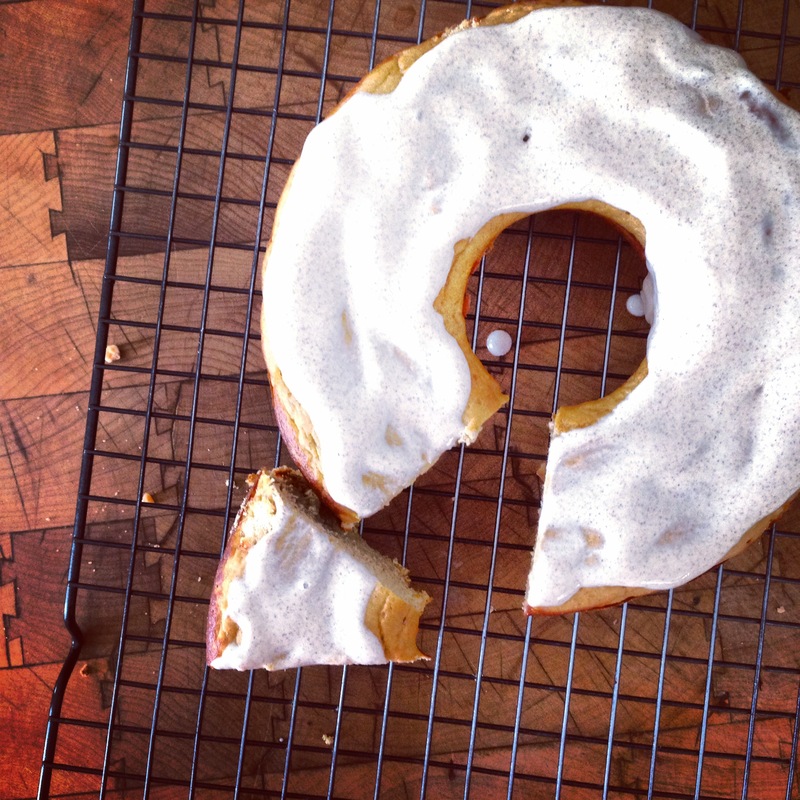 This Pumpkin Protein Cake was the first thing I attempted this week and it came out delicious. I’ll be sharing this recipe soon. 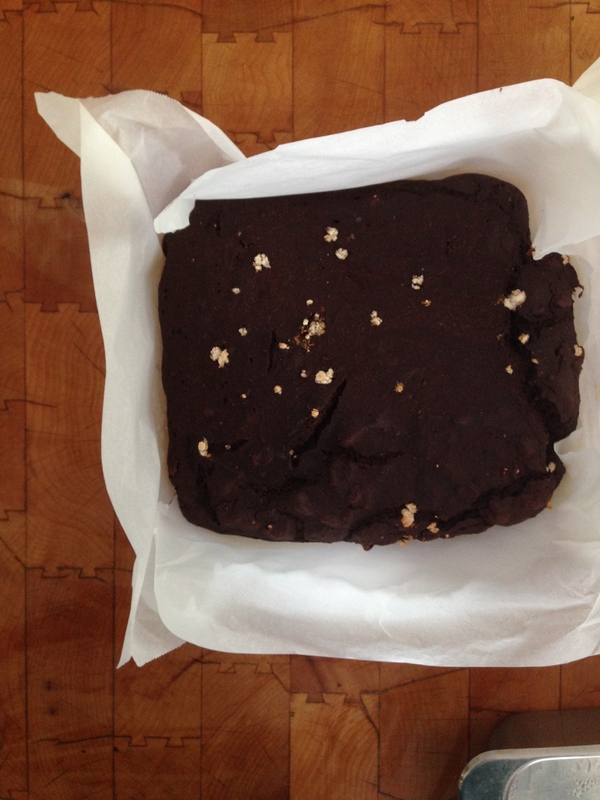 I also made these protein brownies–not ready yet but not terrible. 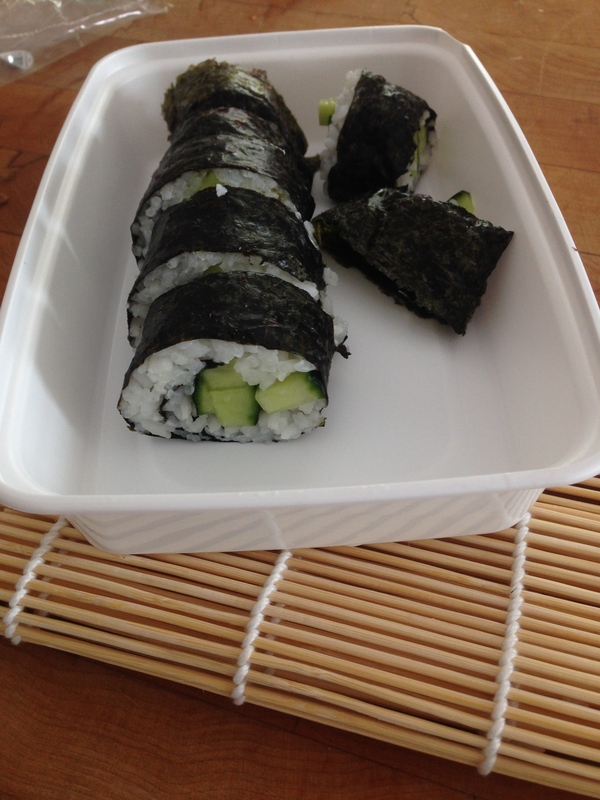 Cucumber rolls–not a baked good of course but harder than they look! 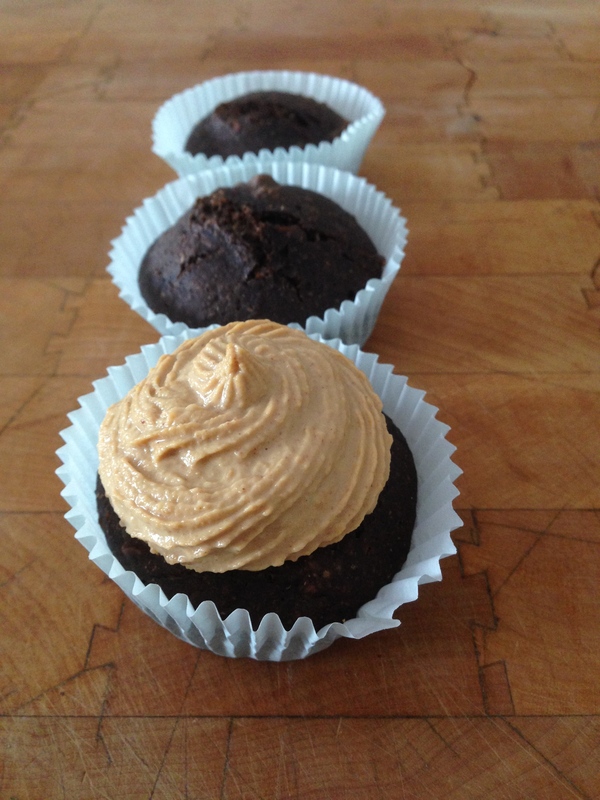 and these sweet potato cupcakes of course. This entry was posted in What I Eat and tagged baking, breakfast, clean eating, dinner, eat, eat clean, fit, food, health, healthy, homemade, ice cream, lunch, meals, protein, recipes, treats. Bookmark the permalink.